China has claimed that US renewable-energy projects received subsidies from the government that violated WTO rules and served as trade barriers to Chinese exports to the US. ­On Monday China's Commerce Ministry named six renewable-energy projects in the US which received such subsidies, among them a solar-power venture in Massachusetts and a wind-power venture in Ohio, as well as in Washington State, New Jersey and California. The investigation was carried out on behalf of Chinese exporters and renewable energy companies. China is calling on the U.S. to cancel practices not in line with WTO rules. It wants the US to "give Chinese renewable energy products a fair treatment," the ministry said on its website. The US, in turn, has moved against Chinese-made clean-energy equipment. The United States Commerce Department has announced a number of import duties over the past six months. US renewable-energy policy has come under internal scrutiny during the presidential race. Republicans have criticized the Obama administration for what they call excessive subsidies to the industry. Presidential candidate Mitt Romney said that if elected President, he would stand up to China on trade and demand it played by global trade rules. China and the US have signed several cooperation agreements related to clean energy in the past three years. 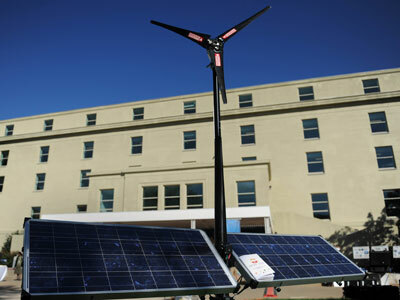 In 2009 they established a $150-million US-China Research Center to develop clean energy.